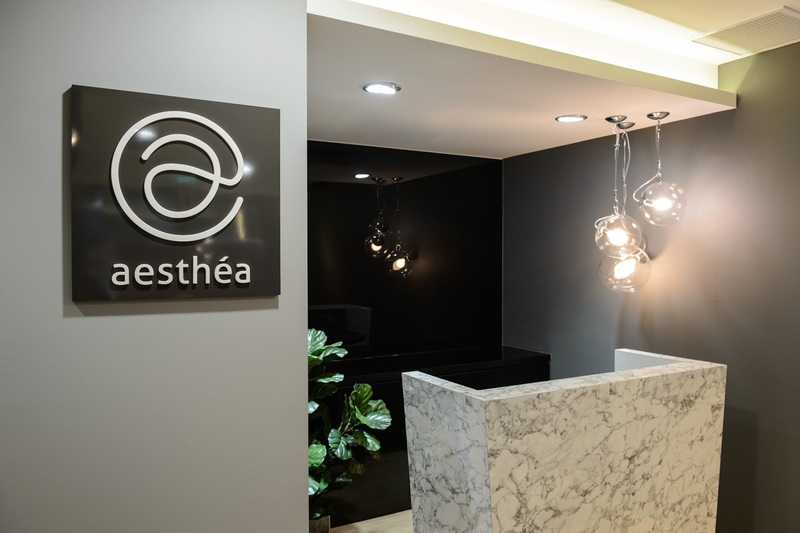 Recently, I dropped by Aesthea Medical Aesthetic Clinic to meet with Dr Christopher Looi for a consultation as well as to try out their signature rejuvenation treatment, Light Years Ahead. 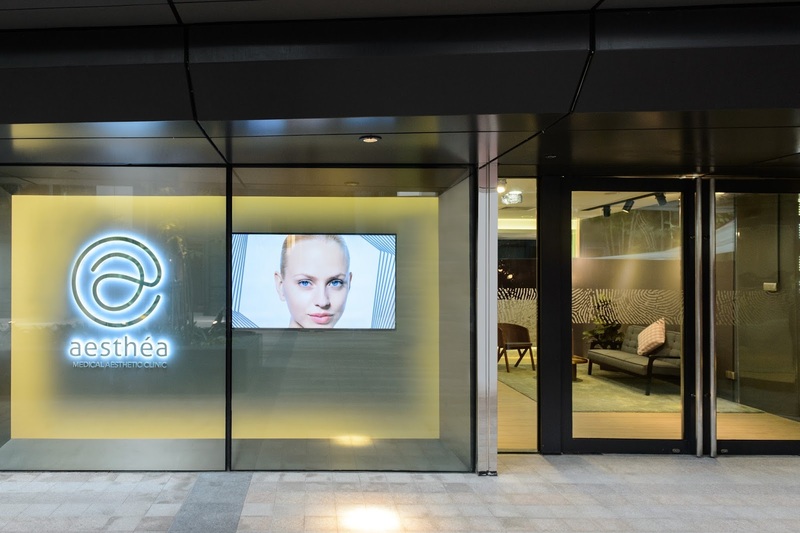 Aesthea is located at South Beach Avenue (the relatively new building right at a stone's throw from Suntec City and Raffles City Mall), which makes it a convenient location for many. The clinic focuses on providing personalised skin and body care treatments by utilising non invasive aesthetic technologies. This treatment is ultimately a four step facial that is suitable for all skin types, as a general consultation will be carried out before. 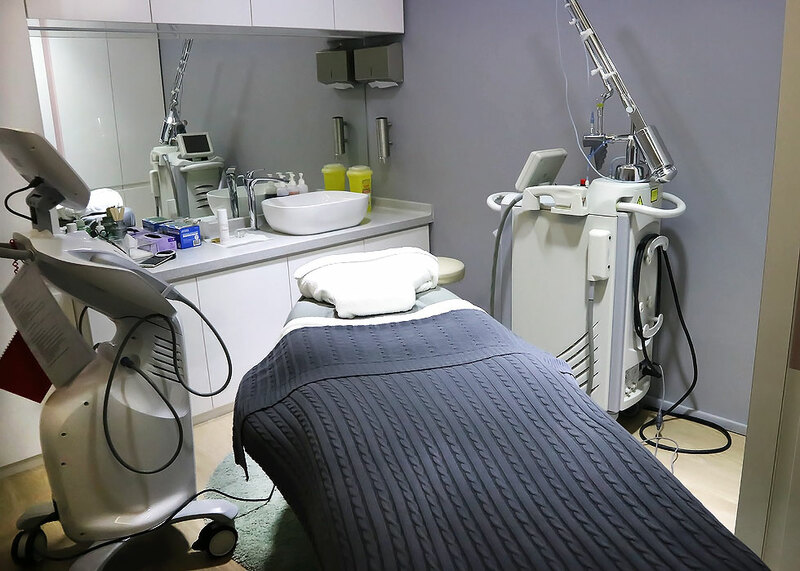 As the clinic focuses on providing time-saving and effective services, this facial will usually take less than an hour (which I foresee to be great for many working men and women out here). The four steps include a gentle Casmara Peel to clarify the skin, Spectra XT Laser Toning to improve and maintain collagen regeneration, BBL PhotoFacial to kick-start lethargic collagen-producing cells (fibroblasts) and lastly, a High-Intensity Focused Ultrasound (HIFU) to stimulate the repair and regeneration of new collagen fibers for several weeks. 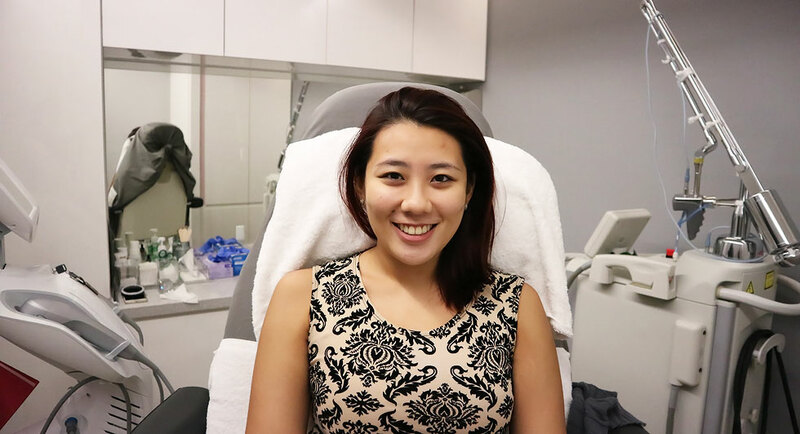 As I was having slight breakouts here and there, I was advised to skip the Spectra XT Laser Toning and carried out the other three procedures instead. 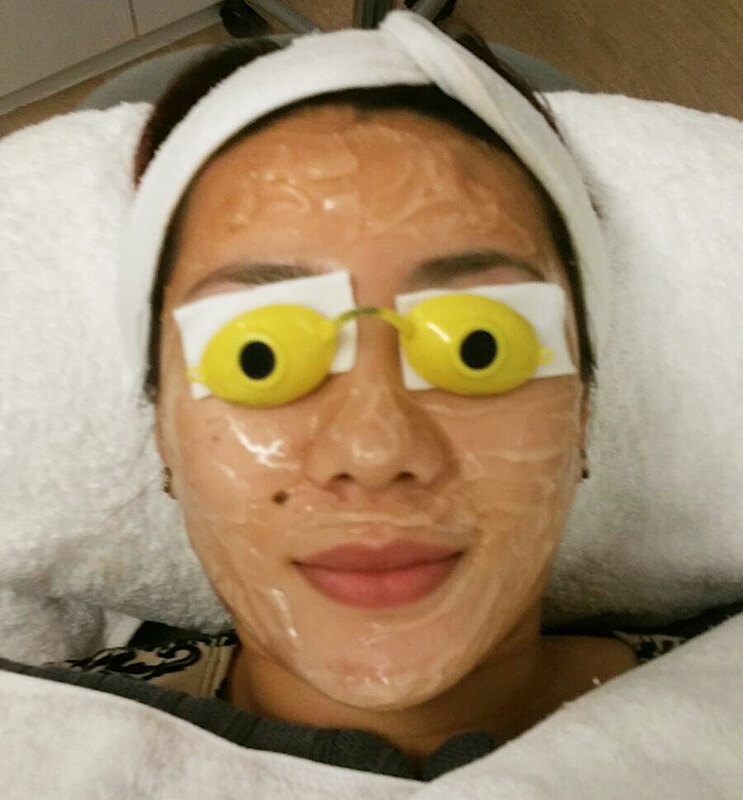 After cleansing the skin, Iris, my therapist, applied the Casmara Peel on the face, with a focus on certain spots to help spot treat those pesky pimples that keep popping up. This peel was left on the face for 5 minutes before it was neutralised and rinsed off. Due to my sensitive skin, I am slightly wary when it comes to facial peels as my skin can get red and irritated if the peel is too harsh. I have had a few instances where a peel made my skin worse, the total opposite of its ultimate purpose. This casmara peel (from Spain, in case you're wondering) is really gentle and I actually did not feel any stinging sensation from this at all. Despite feeling nothing (which many of us have the false impression that a product isn't working), I could see that my skin looked brighter after washing it off. There was a hint of glow and I have to say, I was pretty pleased. This was followed by application of some numbing cream onto the areas to be HIFU-ed. This was my first time ever using numbing cream and the sensation, or the lack of it, felt a tad weird. It wasn't uncomfortable by any means, but just a new experience I supposed. 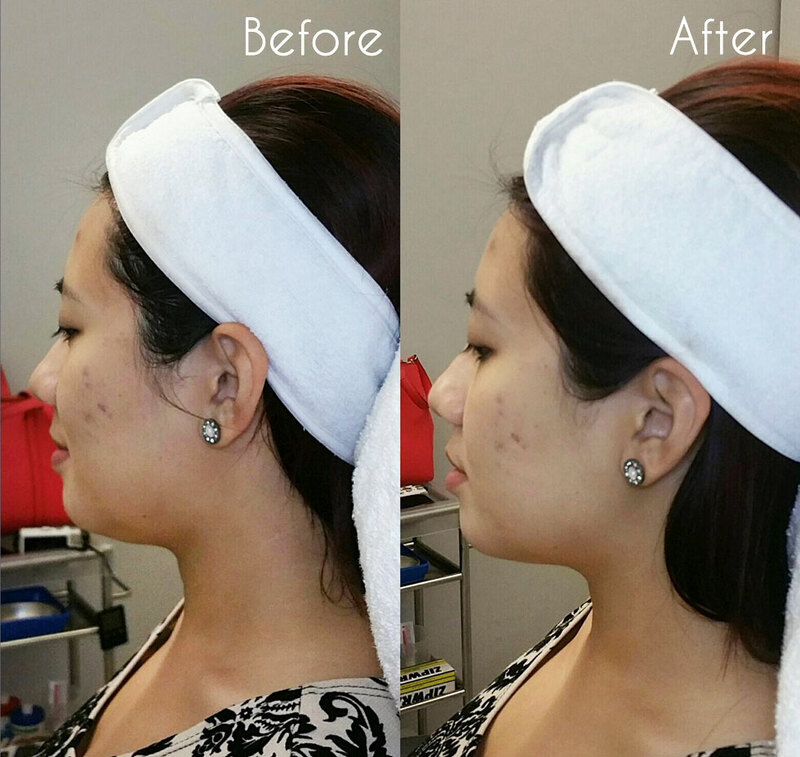 After letting it sink in for about 20 minutes, we proceeded to do the BBL PhotoFacial and HIFU Treatment. The BBL (Broad Band Light) Photofacial is also commonly known as IPL therapy. What this does is it utilises light energy to gently heat the top layers of the skin and the absorption of the heat energy results in the regeneration of collagen. Depending on your skin issues, the light emitted as well as frequency can be altered to achieve various effects within the skin. This would be determined during your skin consultation. I did not feel much heating sensations or pain during this treatment albeit the heat energy that is involved. You get to wear a pair of eye protection goggles during this, as the light energy can get pretty intense. The last step involves the HIFU treatment, which stand for High Intensity Focused Ultrasound. As its name suggests, this treatment utilises high intensity ultrasound to target certain tissue layers beneath the skin. These targeted tissue layers are the same ones that plastic surgeons focus on during a surgical face lift, as well as those where collagen and elastin are produced. Simply put, the ultrasound energy will result in micro-injury to the focused tissue, resulting in increased collagen production and a lifting effect when the collagen fibres organise and shorten (during its regeneration) when the tissue heals. Since I have a double chin, we decided to focus on that area as well as the lower jaw around the chin to lift and provide a tad more definition to the area as a whole. 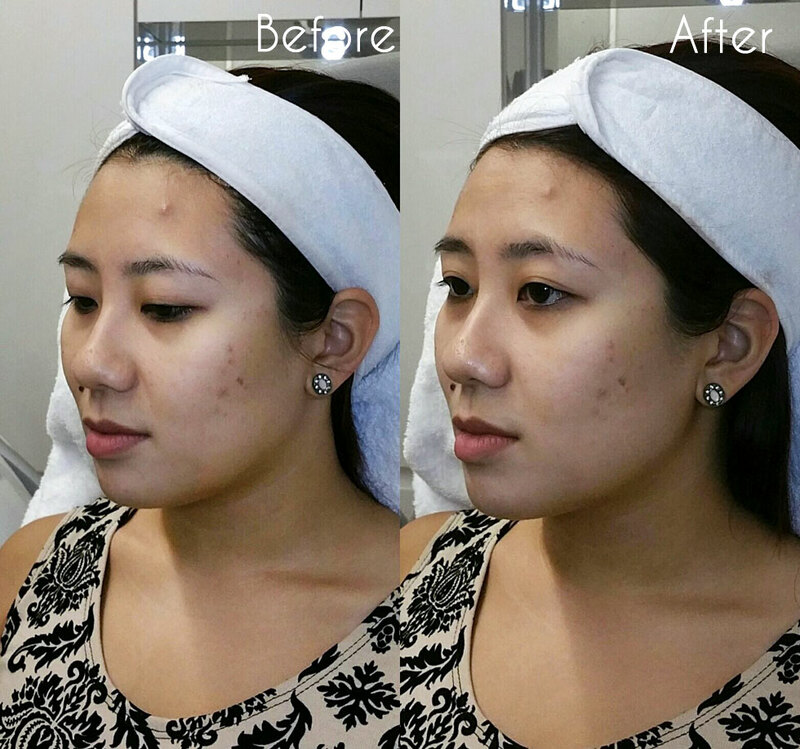 Before the ultrasound was administered, ultrasound gel would be applied to the areas to be HIFU-ed and then we began. I bet this lovely image made your day. It felt like needles penetrating the skin as after all, these ultrasound energy are highly focused. Now, I know that sounds awfully scary but in fact, it was perfectly fine. I felt the sensations but it was nothing too wince-y about. It could be because I had recently undergone a wisdom tooth surgery and after all that drilling and countless metal tools violating my mouth, my pain tolerance now knows no bounds. But then again, every individual is different and the intensity of the machine can be tailored so that the procedure will be comfortable for you. The last steps include application of a stem cell serum and a pure hyaluronic acid moisturiser over the skin. 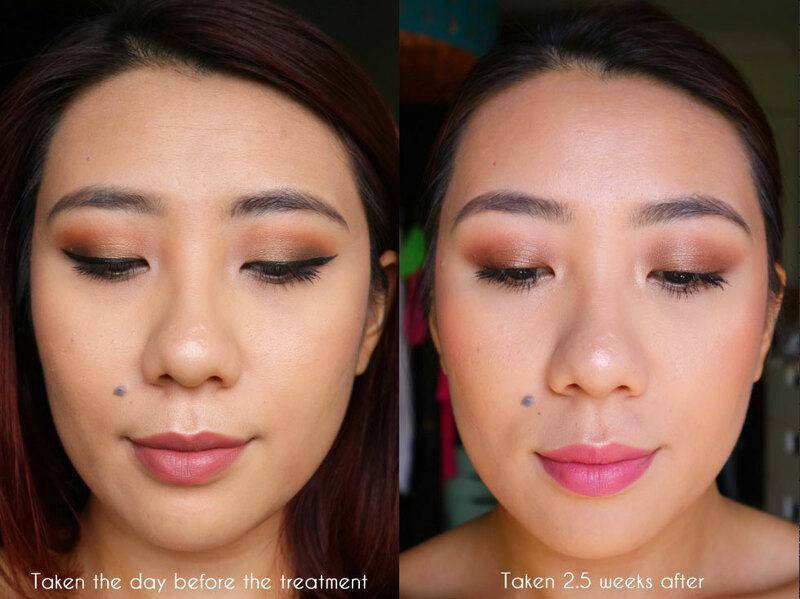 As the collagen fibres do take a while to regenerate, the effects are said to be fully visible after 2 months or so and last for about a few months after. However, here are some pictures taken by the therapist before and after the session itself and it does seem that my double chin area looks a tad lifted already. After the HIFU, as the tissues target are healing, the areas treated will tend to feel a little sore - think the sensation of a blue black or an underlying pimple that is about to pop up and ruin your day. Despite so, there isn't any down time and you are good to go right after. Personally, I did not experience any slight redness or swelling that could potentially occur after for a while (according to research). For the next few days, I could feel that the area treated has a slight bruising sensation to it, but this is only if I touch the area (such as washing the face and applying my makeup). No pain no gain, they say, but in my opinion, this is negligible comparing to other treatments out there so I am all good. This sensation lasted for about 2 weeks, with decreasing intensity, and now I am feeling perfectly fine. I will update here as time goes on, but currently (which is about 2.5 weeks after my treatment), I am noticing that my chin area does look more defined. You can decide for yourself with the images below. I was not able to get the colour and exposure to match, so apologies about that. So far so good, and I am pretty pleased with the results and will continue to update this post if I see anything else worth mentioning. Also, if you're interested, do note that they are currently having a promotion where 6 Light Years Ahead sessions are going for SGD 2000 (a session usually goes for SGD 400). For more information, you can check out Aesthea's main website here. 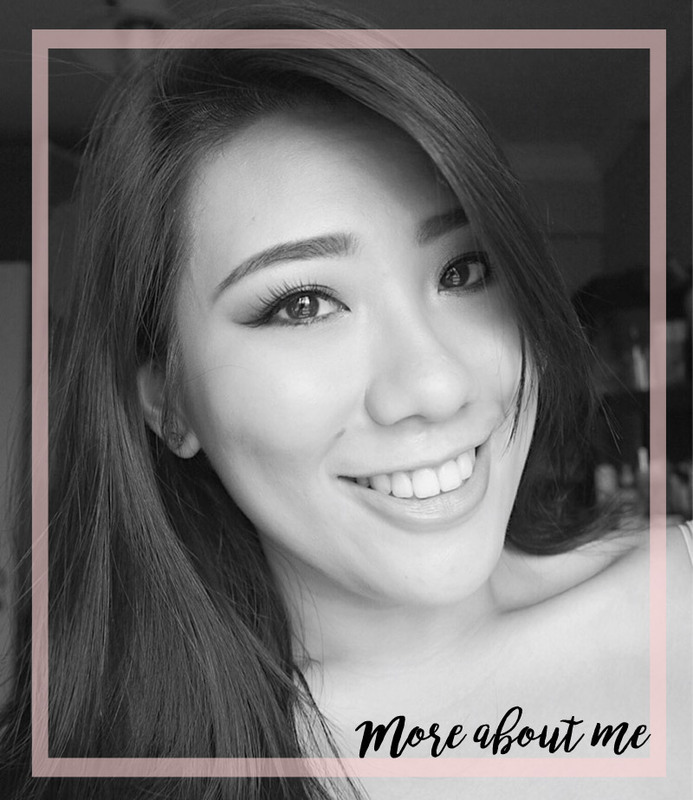 Disclaimer: The treatment was sponsored by Aesthea Medical Aesthetic Clinic for review consideration. I am not compensated or affiliated to the brand. The above review is based on my true and honest opinion and it also contains some information from the brand itself.